The Philippines has kept the local property markets competitive with the recent interest rate cuts initiated by the central bank. The Bangko Sentral ng Pilipinas (BSP) slashed interest rates by 25 basis points to 3.75% in an attempt to restrain the appreciation of the peso. The benchmark rates, according to property consultant Colliers International-Manila, will be beneficial to the property markets currently driven by local demand because of the affordable payment schemes and low-interest rates offered by banks and other home financing firms. CBRE and Colliers International’s research, valuation and advisory services office in Manila said in separate research notes to clients that the Philippine property sector has avoided the asset or property bubble because demand has been driven by end-users attracted to low amortization packages offered by several developers thriving in low interest rate environment. In a related article featured in Philippine Daily Inquirer, a study made by Colliers International indicated that Q1 2012 had seen healthy reservation sales growth compared to the same period in 2011. Developer clients, according to Colliers, learned from the Asian financial crisis of 1997 and had superfluously monitored the market with time assessment whether it is time to halt aggressive expansionary moves. Mr. Enrique Soriano, Ateneo program director for real estate and senior adviser for Wong+Bernstein Business Advisory, notes in a separate interview that interest rates had so far struck a balance in the demand and supply. Mr. Soriano adds that the volume of new residential projects set for completion in the 5 years will likely provide the direction for interest rates and thus, will have a direct correlation to property prices. “When interest rates increase, we can expect real estate prices to get corrected and the banks borrowing schemes will also tighten,” he further explains. 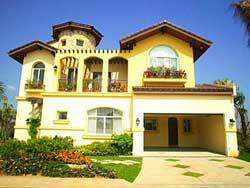 The Philippine property sector received a favourable investment grade from Dutch financial management firm ING. Global Property Guide’s (GPG) Research shows that the Manila buy-to-let average rental yield is 8.62%, suggesting that residential property is a reasonable buy.